Giving Love To Get Love, Oh Dear! 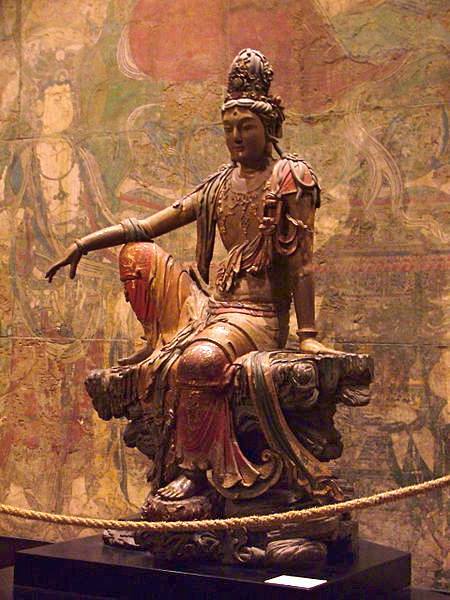 “The eternal, unbroken, natural state of abiding in the Self is jnana. To abide in the Self you must love the Self. Since God is verily the Self, love of the Self is love of God; and that is bhakti. Jnana and bhakti are thus one and the same…. 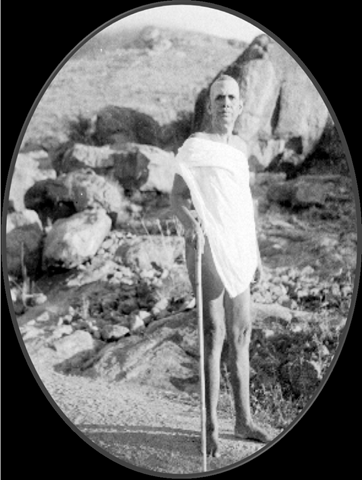 their purpose is to lead you to dhyana, to meditation, which ends in Self-realization.” Maharshi’s Gospel I, The Teachings of Sri Ramana Maharshi. p. 17-18. 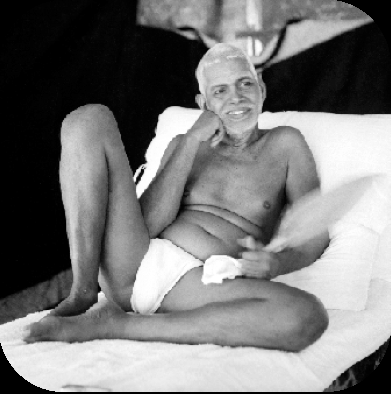 Sri Ramana Maharshi maintained this ancient form of instruction. The answers he gave to questions represent what has evolved in our modern times as a uniquely universal spiritual teaching that can be taken up by anyone the world over without adopting the limiting constraints of any one religious tradition. It has been said that these teachings were indeed God-given, for they began with the words of grace flowing from Sri Ramakrishna and continued with the blessing of perfection that was embodied as Bhagavan. 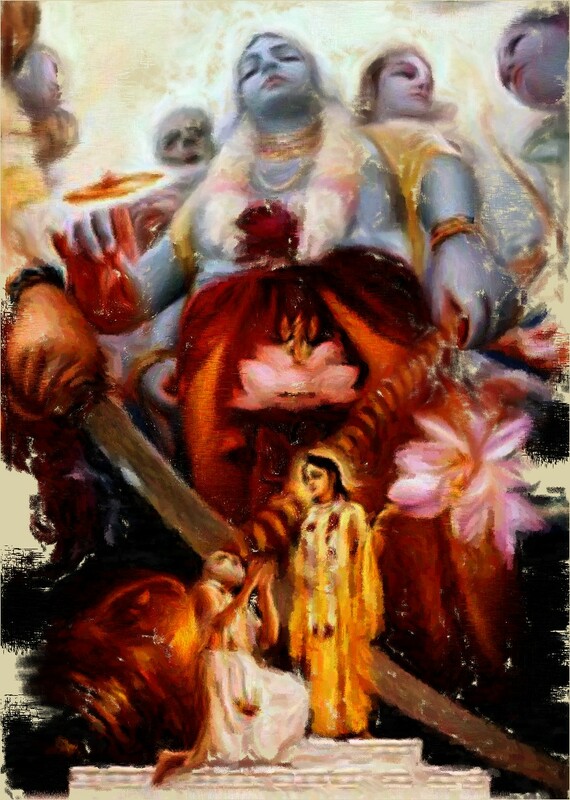 Devotees present with Bhagavan on this day said that a most important spiritual lesson was transmitted through the actions of Bhagavan as he held Lakshmi’s head during her final moments. 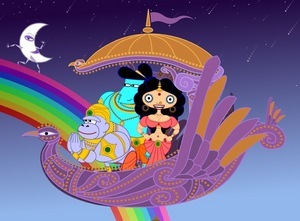 As Bhagavan was stroking Lakshmi’s head, she was gasping for breath in the final moments prior to her passing. Bhagavan, who all knew was capable of removing her pain and causing her spirit to easily exit the body, rather whispered in Lakshmi’s ear to “Tolerate the pain!”. At a later day, Bhagavan said that, “Suffering is the way to Self-realization.” Our training within meditation prepares us to remain “steady in wisdom” even during the final trial of separation from the body. Reprinted from Swami Sadsivananda’s July newsletter.